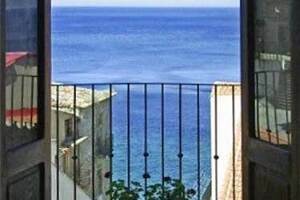 Chianalea 54 is a romantic and refined B&B in the center of Chianalea of Scilla. The B&B offers bedrooms with sea view, air conditioning and private bathroom, TV and safe. On some days, according to the weather, it is possible to see the Eolie Islands. Chianalea is an almost entirely pedestrian district. It offers lots of entertainment: lidos in the neighbourhood, diving, excursions on the typical swordfish fishing boats, moorings for small boats, connections with other artistic locations and restaurants with platforms on the sea.